Submissions are now being accepted from artists of any discipline and nationality, for the purpose of selecting the artworks that will comprise the group show THE GREAT MACHINE II , and the winners of the EMBARRAT awards. 1. The artistic projects must address a single theme: “Alienation“. Alienate (translation of entry in the Catalonian Encyclopedia): Make a person or group, under external pressures and conditioning, generally of a sociopolitical nature, act in accordance with interests that are foreign to them, and forsake their own identity. Consumer society may alienate an individual. Therefore, for the exhibition The Great Machine II , we invite artists to explore and reflect, from any point of view, on this alienated human society and on the consequences that the ideological assimilation of the concept of alienation can have on future generations. The call is open to individual artists or artist groups. All participants must be adults, but may be of any nationality. Participation is free. Each participant must fill out an application online on the Festival’s website, attaching a small dossier (PDF) that explains the art project (maximum of 3 MB). 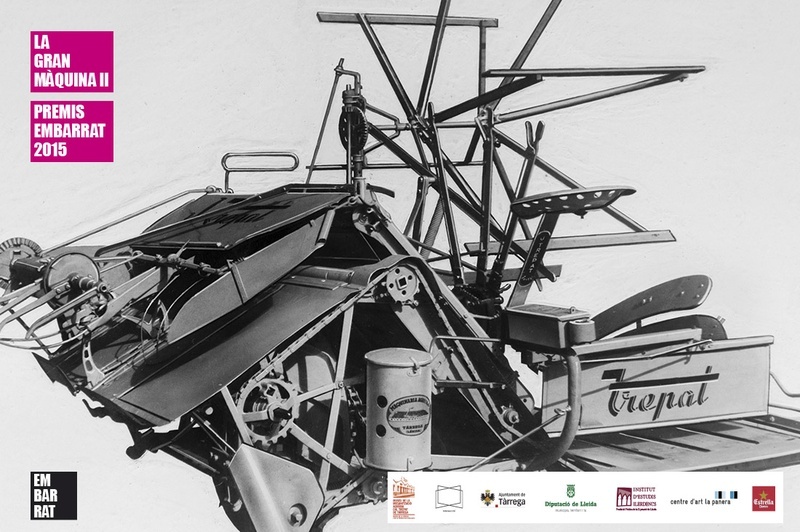 The EMBARRAT Award of € 2,000 (taxes included) will distinguish the best work among all those shown at the exhibition The Great Machine II . IEI AWARD. Production of a solo show: the award will distinguish the best artistic proposal among those shown in the exhibition The Great Machine II . In 2016 the Institut d’Estudis Ilerdencs (IEI) – Government of Lleida will produce a solo show in its Gótica exhibition space to showcase the work of the winning artist. The IEI will also publish a catalogue for the occasion. The qualified JURY led by Glòria Picazo, Director of the Centre d’Art La Panera of Lleida, will chose the winning works, and its decision will be uncontestable. The members of the jury will soon be announced.